In the early '70s Michel and Louis Bronzo acquired the property of the Bastide Blanche, with an eye to produce from appellation Bandol wines the equal of more famous appellations like Châteauneuf. Their painstaking efforts were rewarded in 1993 when vintage conditions created the benchmark year to put Bandol in general and Bastide-Blanche, in particular, on the map of top producers in France. The proprietor of Bastide Blanche also owns Ch. de Castillon and Domaine Baumelles. 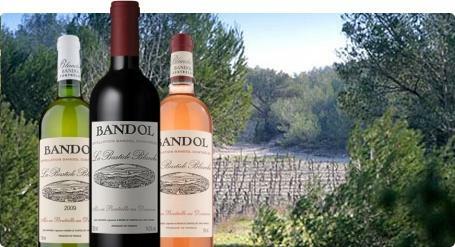 All Bandol, all in the same close area to Bastide Blanche. He has pieced these properties together over time. He keeps the names separate as the terroirs are different and the wines have been sold under those names in France for a long time. Common each year to their success are their very low yields, never more than 34 or 35 Hl/Ha, and simply impeccable cellar conditions and attention. Situated in St. Anne de Castellet, a terroir of Bandol rich in limestone. This, and the high proportion of Mourvèdre gives this domaine some of the most ripe and expressive of Bandol. Wine Spectator 91"Solidly built, with dark tobacco and Turkish coffee notes leading the way to a core of steeped plum and blackberry purée flavors. Leather and juniper details drive the muscular finish. Best from 2018 through 2025. 500 cases imported."